geekers. is a highly customizable Theme wich can be used for Business, portfolio or simply blog and multi-magazine based. 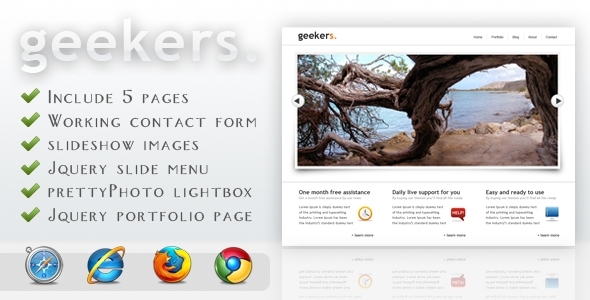 The theme support presentation of articles and image by using a jQuery news slider. The php contact form is - obviously - working. It is a simple php send for wich can be customized by edit the 'sendmail.php' page. The single page is a simply secondary page wich can be used also for article.